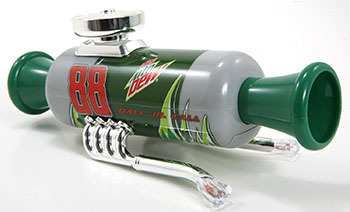 This is a “Diet Mountain Dew Dale Jr Call,” which, apparently, you blow into, and it attracts a Dale Jr. The price will be no problem, assuming you have one of these million-dollar bills with Dale Jr.’s face on them. You’ll even have enough money left over to buy a Dale Jr. spatula.